The (Comma.) and (Dollar.) formats display the value with the comma separator and the dollar sign ($). Again, let's take a look at Num1 and Num2. The (Comma.) format displays the comma separator. However, the decimal places are gone! 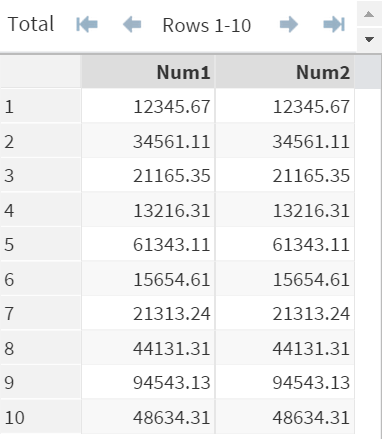 In order to display the decimal places, you must use the CommaW.D format. 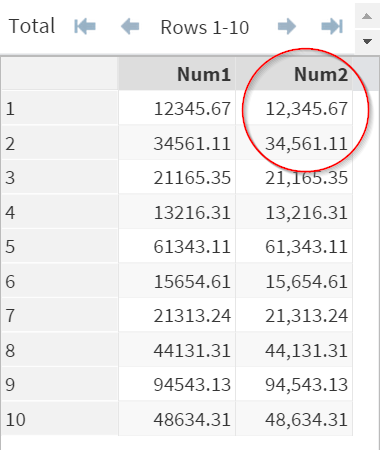 Two decimal places are displayed. 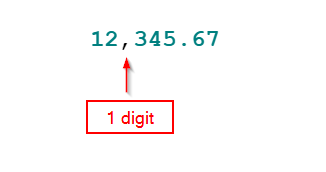 Please note that you need the width (W) of 9 to display the full value since the comma also counts as 1 digit. 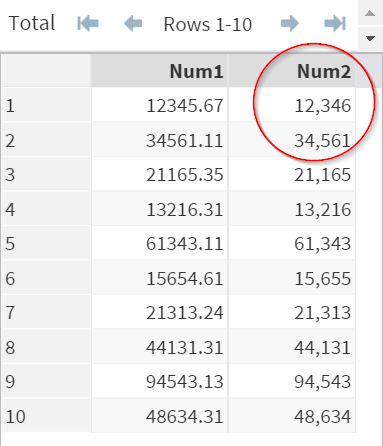 In total, you need a minimum width of 9 to display the full value. The (Dollar10.2) format displays the comma separator as well as the dollar sign ($) at before the dollar amount. 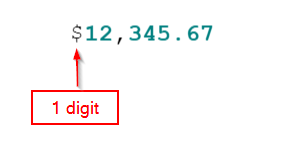 Again, you need to add 1 extra digit to the width (W) since the dollar sign ($) takes up 1 digit as well. ​In total, you need a minimum width of 10 to display the full value. Copy and run the TRANSAC data set from the yellow box below. The sales tax is 14.75%. 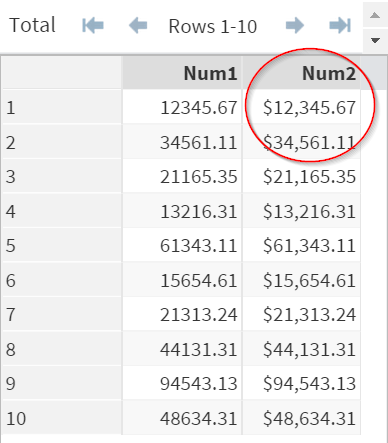 Display the after-tax total at 2 decimal places.